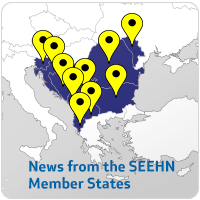 The South-Eastern Europe Health Network (SEEHN) established in 2001, is a multi-governmental forum for regional collaboration on health, health systems and public health. It comprises of Albania, Bosnia and Herzegovina, Bulgaria, Israel, Republic of Macedonia, Republic of Moldova, Montenegro, Romania and the Republic of Serbia. The SEEHN continues to enhance sub-regional cooperation in health in the SEE through support of national public health investments in the areas where they can show an impact on overall health status and are associated with improved investment opportunities that contribute to growth. The SEEHN is continuously contributing to the SEE and European policies in health and economic growth development and implementation. It supported development of the WHO strategy “Health 2020: a European policy framework supporting action across government and society for health and well-being”, as well as of the “European Action Plan for Strengthening Public Health Capacities and Services” and their adoption at the 62nd WHO Regional Committee for Europe in 2012, looking forward to further strengthen the case of health as an investment in growth. 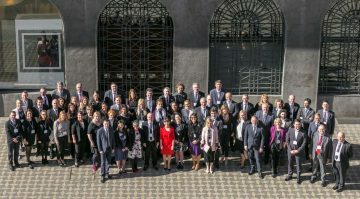 To date, SEE Health Network has established a number of partnerships with international, regional and national institutions and organizations, with whom it shares the vision and mission for improved public health and wellbeing of all. The South-eastern European Health Network (SEEHN) puts the issue of health and economic development high on its agenda in 2005, discussing it with the ministers of finance of its member states, at the Second Ministerial Forum in Skopje, Macedonia. 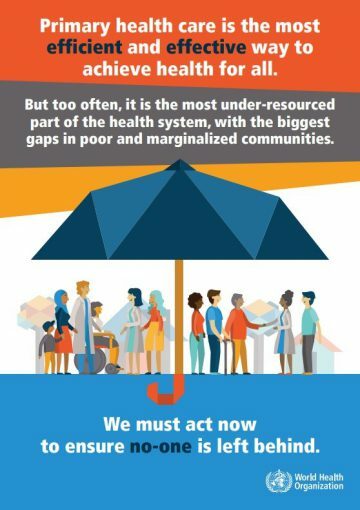 Ministers of Health have pledged to demonstrate the economic potential of health as a means to increase productivity and decrease public expenditure on illness, acknowledging that “a healthy population works better and produces more”.